Best for carefully chosen tapas with complementary award-winning wines. An alluring list of mezze options showcases South African produce beautifully. Freshly baked bread served with salad – think pear, nut and blue cheese or citrus, baby spinach and toasted walnuts – make for the perfect start to an alfresco lunch. 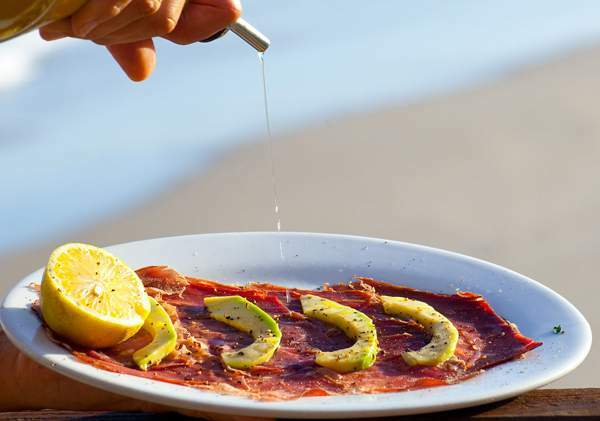 Various dips, pâtés and meaty dishes like springbok carpaccio, bobotie cigars and creamy mussels are more substantial options. End with cheese and preserves or chocolate truffles. It’s vibey and bustling here in the summer months, so book a table between the vines for a quieter option. Best for people-pleasing authentic Italian dishes. Old-school favourites dominate the menu here, but alongside pasta alfredo with ham and cream there are inspired combinations too, like the Aurora with broccoli and gorgonzola. Simple fish of the day grilled in olive oil or beef medallions in black pepper sauce are good options, and tasty salads like the Mediterranean with gorgonzola and rocket are sized to share. The standout dessert is melt-in-your-mouth tiramisu. 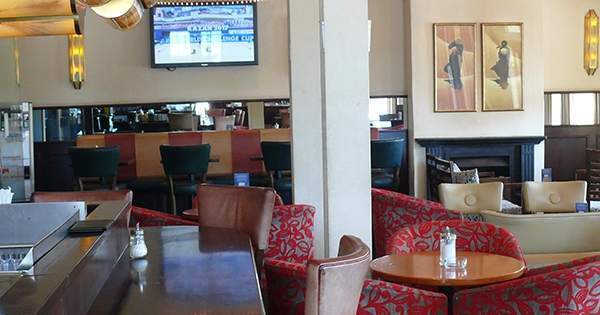 This is one of the liveliest venues in Knysna, with outside tables next to the quays at a premium in summer. Best for a South African and Syrian experience. Menu options include wraps filled with roasted sumac eggplant, baby marrow, fresh tomato, mint, halloumi and yoghurt tahini sauce, and slow-cooked tomato and beef short-rib ragù on creamy polenta with rocket and avo. The sweet offering sings with a raw chocolate, almond and date truffle, and baked banana cheesecake with salted-caramel sauce. Want to be slightly more virtuous? Grab a Turmeric Sunrise smoothie made with banana, dates, almonds, ginger, turmeric and cinnamon. Best for fresh eats in a stunning seaside setting. If you’re a locavore, you’ll love the way East Head highlights local produce: honey from Knysna, macadamia nuts from local orchards and excellent locally made cheese. Fish-and-chips fans will find this feathery-light version unbeatable. In addition to a good variety of salads and vegetarian fare, there are blackboard specials such as perfectly spiced seafood curry. Picnic tables on the patio are coveted for their position next to the sea, and kids can enjoy their own play area. Best for a relaxing cheese-filled country lunch. Fynboshoek Cheese offers quality cheese in a farmhouse setting, where almost everything is grown or made on the premises. There’s no menu: aromatic rosemary focaccia might emerge from the oven, paired with salads studded with cheese. The main event is a feast of cow’s and goat’s milk cheeses made by your host and award-winning cheese-maker, Alje van Deemter. Fresh ricotta drizzled with honey, aged cheddar, sharp provolone, creamy chèvre and brie all vie for attention. Desserts of the day provide a fitting finish: pecan pie, crêpes or cheesecake. The inviting farmhouse celebrates living well. Best for a romantic evening. This relatively new owner-run restaurant serves Asian fusion food in generous, colourful, flavourful portions. Everything is made fresh to order in a small open kitchen that takes centre stage. Highlights are steamed dim sum, not-to-be-missed Asian ribs and the teriyaki bowls. You’re transported in a moment by the restaurant’s hip tiger-print wallpaper; the courtyard tables are perfect for summer evenings too. 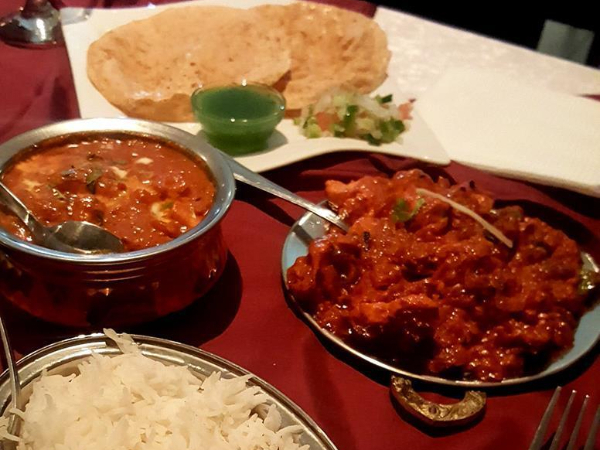 Best for a relaxed meal. This modest café offers a mix of tasty dishes all made with local, organic and sustainable produce. Sit outside on the quirky patio or in a cosy nook inside. The mill’s organic spelt flour is used in wonderful breads, pastries and pastas. Variety is key: a vegan salad of delicately cut raw vegetables in lemony dressing appears alongside juicy grass-fed beef burgers on home-made buns. End on poppy-seed cake, rich and moist baby marrow chocolate cake or baked cheesecake. Apt drinks choices include cool kombucha, fresh juice of the day or yummy iced coffee. Best for lazy family afternoons filled with delicious Italian fare. Marco Mauri – Italian cheese- and gelato maker of note – and his family open their farm for lunches starring his authentic Italian products. Pizzas are divine topped with Marco’s melty mozzarella. On Sundays, mama cooks a northern Italian meal: think buckwheat pasta with potatoes, cheese, spinach and sage butter; crispy breaded veal cutlets; or house-made tagliatelle with salmon and cream. End with gelato in fabulous Italian flavours like tiramisu and pistachio. The farm setting is relaxed and peaceful, with picnic tables scattered about. Best for a buzzing vibe and extraordinary food. Breakfasts range from superfood smoothies to hearty hunger busters. Later on in the day, feast on marvelous duck confit with Asian orange salad, steamed dumplings and peanut coconut sauce. 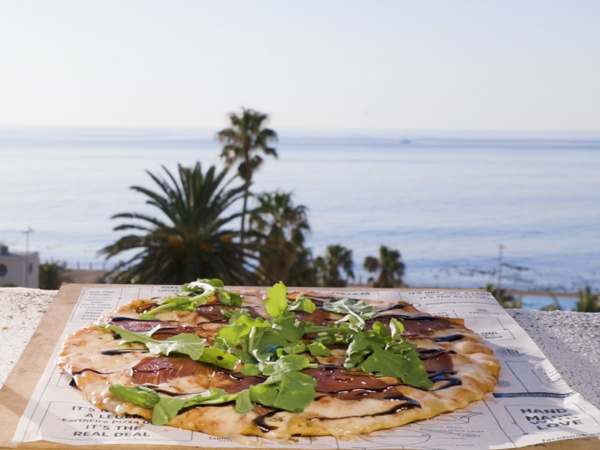 Pissaladière flatbread comes with soft cheese, caramelised onions, kalamata olives and rocket. Finish with apple strudel or a baked chocolate tart. A good range of wines sits alongside off-the-charts delicious hot and cold drinks. Staff smiles are abundant and contagious. Elegance and simplicity are the watchwords here. Start with the rich salmon pâté served with crispy melba toast or order a picnic with a variety of goodies like olives, pesto, preserves, cheese and bread. Pizzas, crisped to perfection, come with toppings such as Parma ham and caramelised onion. The roast of the day could be spicy chicken with potatoes or slices of rare roast beef with parmesan and rocket. Refreshing salads picked from the garden balance the meal. The Newstead range of wines is sophisticated yet accessible. This comfortable farmhouse has picnic tables outside and a bar inside serving bubbly and herb- and spice-infused gin cocktails and mocktails. 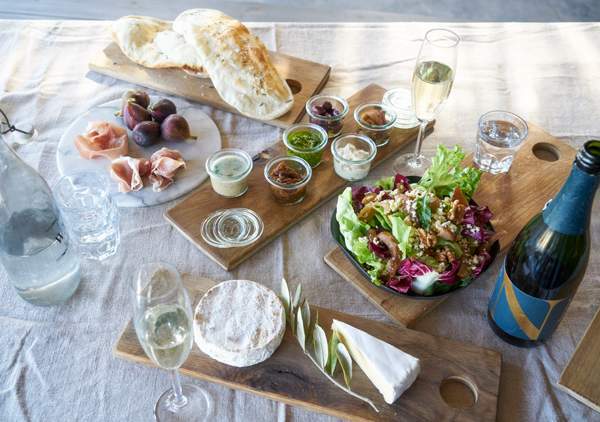 A spread at Newstead Wines. Photo supplied. Best for a gourmet celebration. The chalkboard menu changes often and offers a pleasing array of starters like legendary gruyère-and-nut soufflé, classic steak tartare and decadent roasted marrow bones with toast. Light-as-air ravioli with fillings like butternut and almond topped with mascarpone can be ordered as a starter or main. Bust your hunger with the delectable pulled lamb bobotie or roast fillet of springbok in a quince port sauce. Peter’s bread-and-butter pudding served with home-made cardamom ice cream have regulars returning again and again, as does the lush lemon posset with berry sorbet and honey ice cream. There’s an award-winning wine list, too. Best for families spreading out at a picnic table and watching the kids frolic on the beach below. What puts this restaurant on the map food-wise is the fresh seafood. Enrico’s own fishing boat brings in the catch each morning. Fish of the day is baked in a delicate sauce of garlic white wine and lemon and served with fresh zucchini. Sharing antipasti like the puffed-up focaccia, fresh frittura mista, light-as-air prawns, squid and mussels or wild oysters turns your meal into an event. Authentic Italian endings include ricotta cake, tartufo and home-made gelati. Carpaccio at Ristorante Enrico. Photo supplied. Best for intimate celebrations. This special restaurant draws from South Africa’s rich cultural cooking heritage to create an exceptional fine-dining experience. 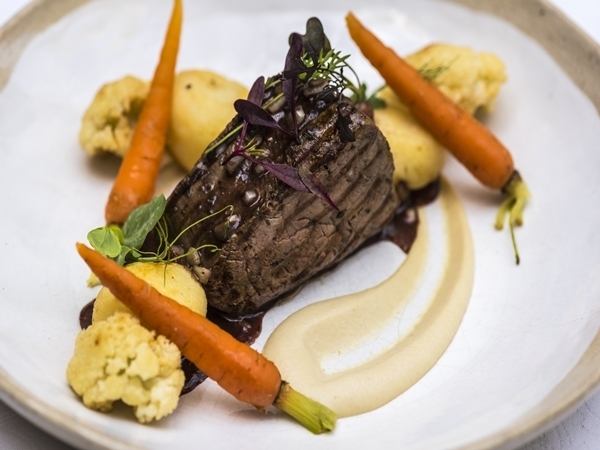 The menu changes fortnightly, but you could start with hand-cut tartare of springbok served with a quail egg and spekboom chutney, and follow with a richly flavourful cauliflower soup with biltong powder. Mains may include grilled fillet of ostrich and Mossel Bay line fish. Don’t miss dessert – a modern take on classics like date-and-brandy pudding served with quince purée and rooibos jellies. The extensive wine menu includes French bubbles and other more exclusive bottles. Candle-lit tables, crisp white tablecloths and beautiful fresh flowers exude grandeur here. 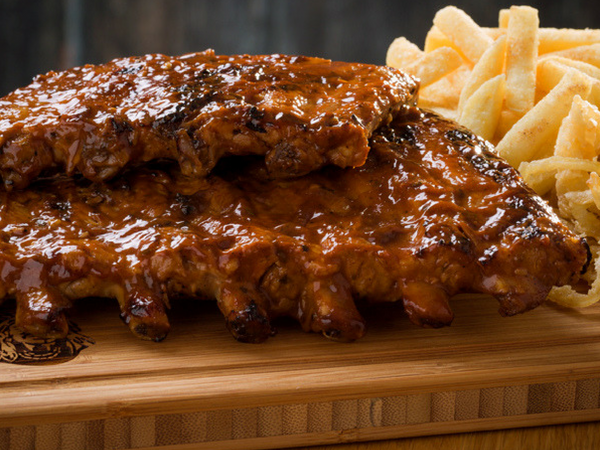 Best for a hearty family lunch. Stop by this much-loved farm stall for locally sourced veg and fruit, artisanal baked goods, preserves, sauces and pickles from the deli, or stay for a meal. For a more adventurous breakfast, try quinoa patties served with garden greens, poached free-range eggs, sprouts, seeds and avocado. For lunch, don’t miss the gourmet burgers with great vegetarian options, wraps, quiche, shakshuka and falafel. Best for indulging in earthy Italian home cooking. The pizza oven in the centre of the restaurant produces roasted pork loin with crackling, lamb shank with crisp potatoes and fresh fish cooked to perfection. Pasta is made on the premises and the pizza is wonderfully crisp. Regulars pace themselves to save room for espresso cake with almond meringue and Frangelico cream. The outside pavement under an awning offers cool summer dining. Best for a leisurely farm-to-table feast. Chef and owner Brett Garvie finds, forages and grows everything that makes its way to your plate. Ingredients are always seasonal, of the finest quality and prepared with love. 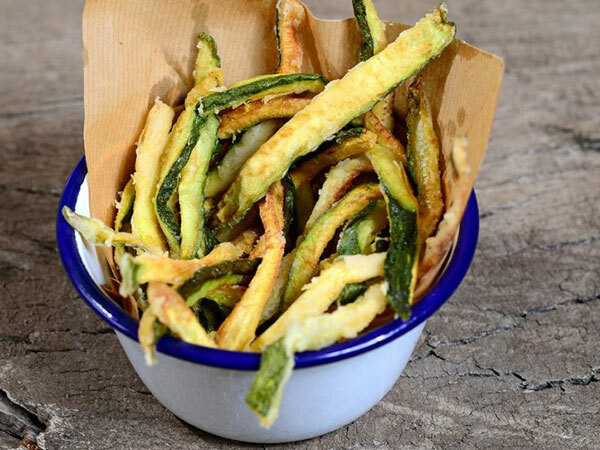 Start with a bright sharing platter of veg fritters with a piquant sauce or home-made dolmades. The main course could be porcini mushroom ravioli with truffles and gorgonzola sauce, or perhaps pasta with pesto. Seasonal fruits star in desserts such as caramelised pear tart with luscious coffee ice cream or classic peach melba. The magical atmosphere of this cottage is delightfully quirky, with charming mismatched vintage tableware. Dining in Cape Town too? 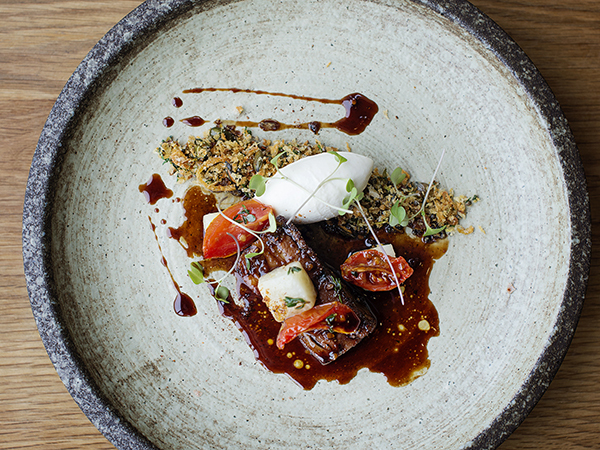 Check out our list of the 144 best restaurants in Cape Town. 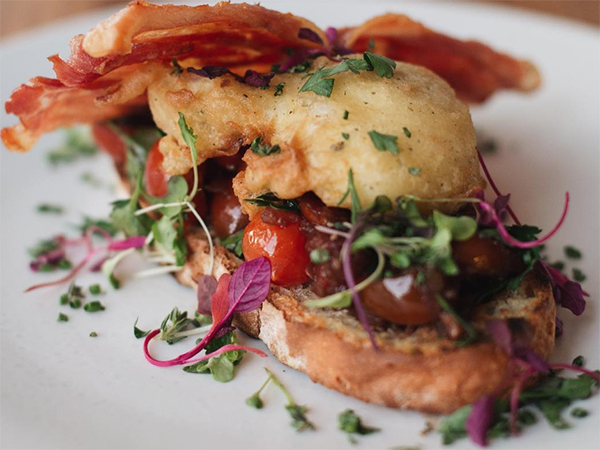 Haha 🙂 We hear you, Jacques, but there’s a pretty good reason why there aren’t more restaurants from the other towns in the Garden Route on the list. These numerous opportunities (that don’t include advertising on our site or in the magazine ? ) ensure that both restaurants whose listings are often visited and engaged with by readers, as well as those which are highly regarded by our professional critics, are considered for inclusion. After the rating process, the restaurants with the highest average ratings (scored out of 10) are shortlisted for the Eat Out 500. Eat Out’s panel of critics is then commissioned to travel to all corners of the country to review these shortlisted restaurants professionally. It is these reviews and more comprehensive ratings (for food and drinks, ambience and service, each out of 10) that ultimately decide the top 500 restaurants from that list to be included in the magazine. We then share some of those that made it as lists on our site – which is how these 14 places got picked. Not based on geography, but based on quality. Hope that makes sense? If you think we’ve missed a spot that should be on the list – write them a review! It’s a surefire way of ensuring that they’ll be considered next year ? George has some very good restaurants, notably “101 Meade Street”. I trust on your next update you will add at least this one restaurant, although there are quite a few more. Freshline Fisheries in Knysna at the back of Tait Marine in a car park…..just before the road/bridge crossing over to Thesen island ….why?…did you blink and miss it..? The restaurant is in the corner of a car park, tonnes of sand raked over the ground picnic benches timber screening fishing memorabilia abound and all covered with a canvas tent roof structure it’s chilled uncomplicated always full in the evening. With their other restaurant Ribs and rump next door serving up the best in aged red meat and the stupendous fish menu too. It’s a find ..people you have to visit …pop along to Picardi Rebel in Knysna or next to ‘Food lovers Market’…to buy your wine..
…..back at the restaurant you’re offered ice and an ice bucket for your wine or soft drinks no charge! ..they do sell a variety of soft drinks…..
Hake, Kob, Gurnard, Dorado, Cape Salmon, Sole, Tuna,Yellow Tail, Red Roman, Barramundi, King Prawns, Fresh live Crayfish, Lobster and Saldana Mussels …….etc etc …. Just a varied selection of what’s available during the season….plus salads and the best chips ..
Luckily we are back there in 18 days time …ooh my poor ever expanding waistline….Lekker as they say …by the way i’m from the UK and can I say ALL the food in South Africa that we’ve eaten from Cape Town to Plettenberg where we live has been without doubt better than a lot of food….nearly all the food that i’ve consumed whilst living in the UK . It’s just value for money, the service cleanliness …even down to the toilets.. hand on heart never been into a dirty smelly toilet on the garden route….and with that thought …from the simplist Farmstal to the poshest restaurant SA food is hard to beat….plus the wines pretty fantastic too..hic! These numerous opportunities (that don’t include advertising on our site or in the magazine 😉 ) ensure that both restaurants whose listings are often visited and engaged with by readers, as well as those which are highly regarded by our professional critics, are considered for inclusion. Any reason why Freshline Fisheries Knysna are omitted, and the other top five restaurants on tripadvisor. Makes one wonder! Well, the simple reason is that they didn’t qualify. Thanks for the recommendations, Jon! 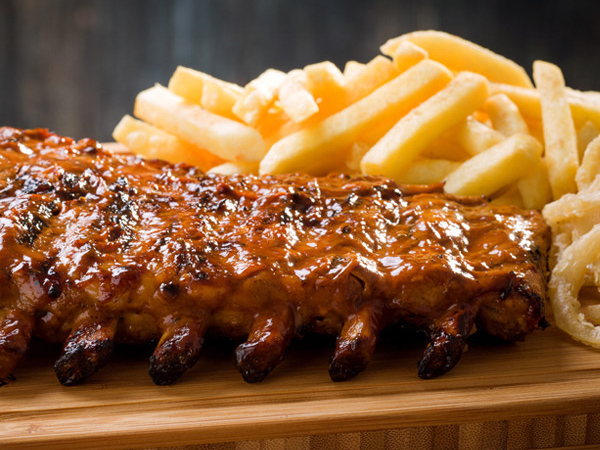 Thanks for the great list of garden route restaurants. This really helps a lot.